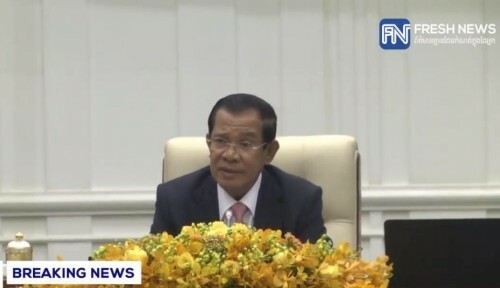 Prime Minister Hun Sen has announced that blending the new and the old blood in the Royal Government cabinet is vital in ensuring the strength of the CPP-led government, speaking at the first cabinet meeting on Friday at Peace Palace Phnom Penh. Prime Minister said that it is the virtue of the leader to provide opportunity to the former officials to continuing working, thanks for their hard work in gaining people’s trust; and that it is also virtue to allow other officials who did not perform well to improve their efficiency. He added that this arrangement does not mean that the new mandate of the Royal Government will be completely the same. He intended to introduce the next generation in the following years. The premier reassured that he would not keep the unqualified officials.